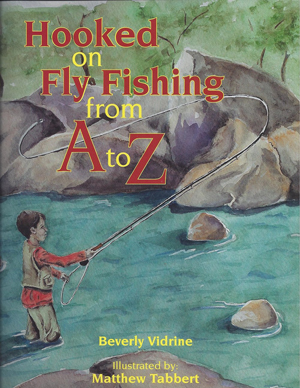 A wonderful introduction to the world of fly fishing. Often seen as complex or intimidating, this graceful form of fishing is anything but, and this book shows young readers just how easy it can be. Broken down into simple-to-understand pieces, children can quickly connect the dots on how to get started in tis amazing sport, literally from A to Z. 11x9 inches, 32 pgs.